What was as a normal operation for tugboats Ajax and Tenax of performing terminal service operation for the oil tanker Sola TS, ended in a huge rescue operation for our three tugs stationed at the oil- and gas terminal. 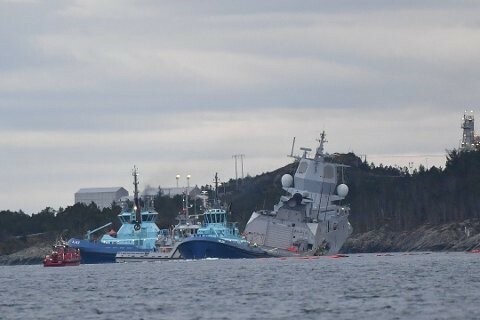 It was on November 8th that the Norwegian frigate, “KNM Helge Ingstad”, who was heading south collided with the oil tanker Sola TS who was heading north. 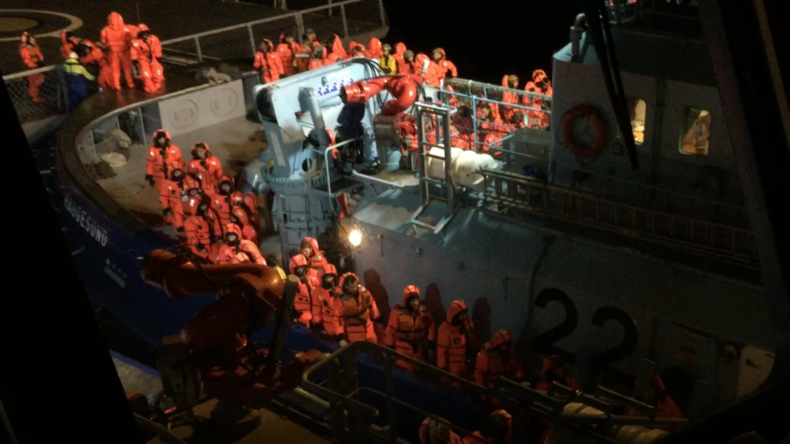 After the collision, Tenax stayed with the tank boat Sola TS, while Ajax and Velox safely evacuated 121 persons from the sinking frigate. -Many of those who were evacuated were partly in shock, some were also injured. They were 121 young people. I suppose many of them were asleep in their cabins when the accident occurred. Our crew and vessels made sure they were safely and quickly transported from the sinking vessel to the Sture terminal, CEO Kenneth Walland says. After evacuating the crew, Ajax and Velox began the important task of locating the frigate on dry land, both to prevent pollution and to prevent the frigate from sinking. -We are proud to have been an important part of the rescue operation. Our crew and vessels performed excellently. We are glad no lives were lost, and no serious injuries were caused by the accident, Walland says. The Østensjø Rederi owned and operated tugboats Ajax, Tenax, and Velox, along with the two mooring launches Fox and Rex are on contract for Equinor at the oil- and gas terminal at Sture. Our tugboats perform terminal service operations. 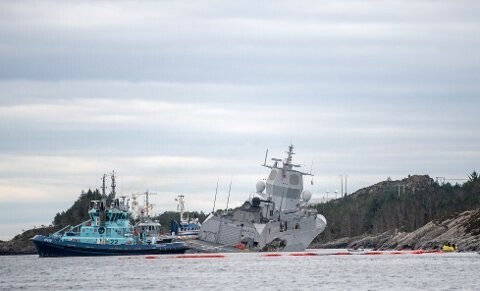 The frigate, KNM Helge Ingstad, with 137 people on board, was on its way back to the navy base Haakonsvern from the NATO-led military exercise “Trident Juncture” when she collided. She collided with Malta registered and Tsakos Energy Navigation owned oil tanker “Sola TS”, just north of the Sture terminal on the west coast of Norway.